© Nicholas Kamm Image: US President Donald Trump arrives to a "Make America Great Again" rally at the Eastern Kentucky University, in Richmond, Kentucky, on Oct. 13, 2018. 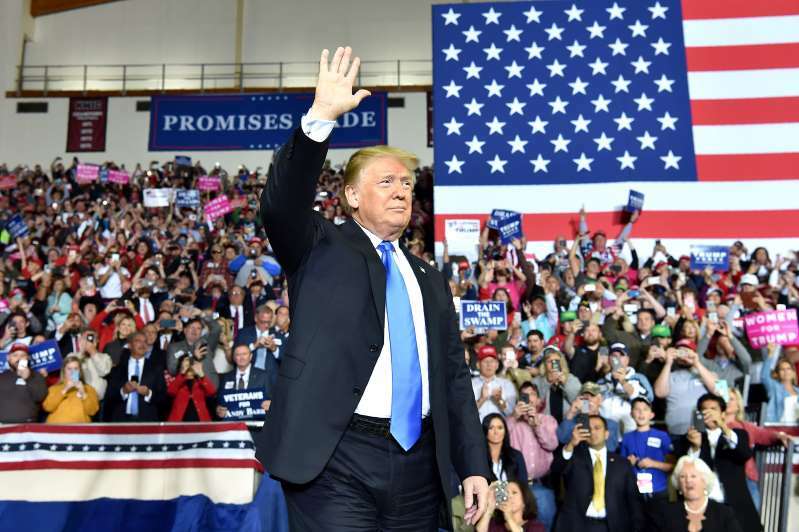 President Trump has raised more than $100 million toward his re-election bid, a staggering sum more than two years before the 2020 presidential campaign. Trump's fundraising bonanza has has been boosted significantly by small-dollar donations, with his campaign committee having raised a majority of its funds from donations of less than $200.